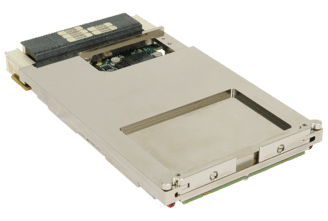 Concurrent Technologies, a leading supplier of processor solutions for demanding environments, has completed thermal, shock and vibration qualification testing and is shipping conduction-cooled ruggedized server boards with virtualization capabilities. 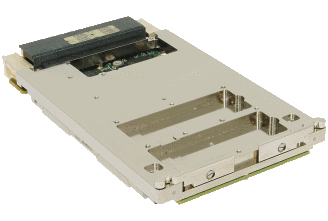 The 12-core variants of these 3U VPX™ boards will operate at a card edge temperature of +85°C with 100% processor loading, maximizing performance within a single slot. 10 Gigabit Ethernet connectivity and direct attached storage are also included to minimize Size, Weight and Power (SWaP) which is vital for many compute intensive applications within the defense market. 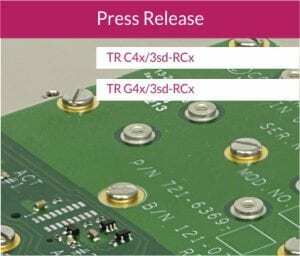 Both TR C4x/3sd-RCx and TR G4x/3sd-RCx are based on the Intel® Xeon® D‑1500 processor family. Concurrent Technologies builds variants with up to 16-cores and 64GB of soldered down DDR4 ECC DRAM for resilience against shock and vibration effects. For mass storage, all boards support an optional 128GB SATA Flash disk drive. Some variants can also be fitted with up to 1TB of direct attached storage, achieved by adding one or two M.2 modules maintaining the single slot solution. Concurrent Technologies has qualified suitable M.2 modules and is supplying these factory-fitted. Concurrent Technologies offers a number of security options including TPM 2.0, Secure Boot, Sanitization Utilities and our Guardian Package for enhanced security which can also be tailored to meet bespoke security requirements.